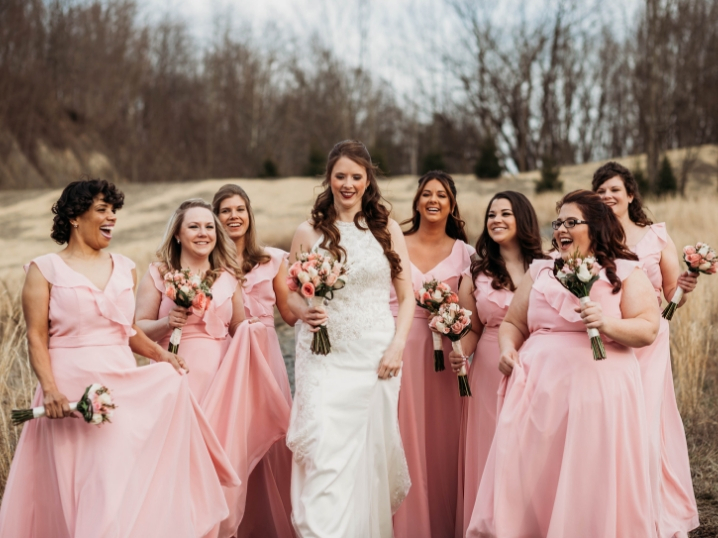 By the time your big day rolls around, your bridesmaids will have spent hundreds (if not thousands!) of dollars to help you celebrate. Why not shower them with as much love as they’re giving to you? Check out these five gifts that your best gals will cherish for years to come. Jetting off to Nashville for your bach? 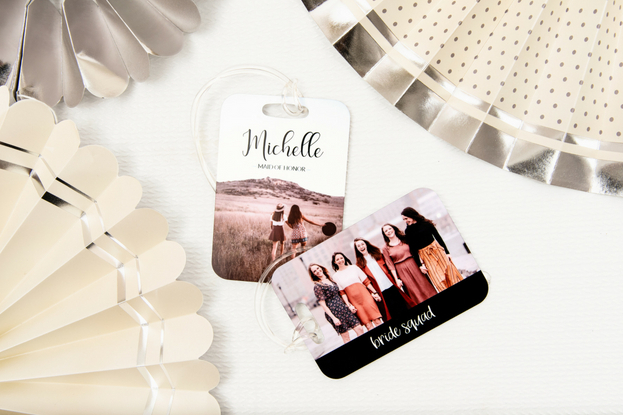 Personalize a luggage tag so your bestie can ensure her belongings are safe in style. A good friend never lets her friend walk around with lipstick stains on her teeth – especially on a day in which she’s going to have hundreds of photos taken of her. 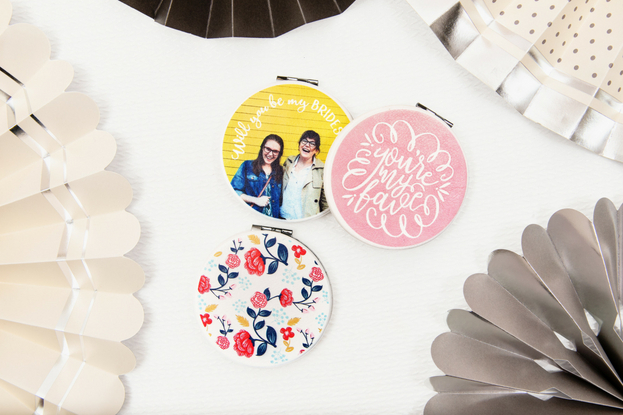 Give a custom compact mirror, so she can do a chic and discreet teeth check. Before they were your bridesmaids, they were your sleepover roomies, your partners in ex-boyfriend-bashing, or your road trip buddies. 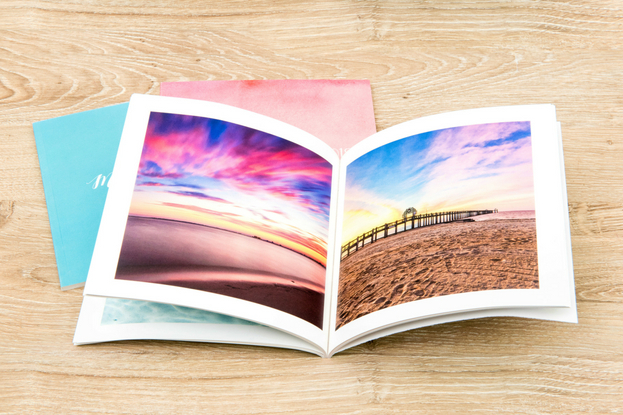 You can fill an entire Buzz Book with memories! Sip on something together while getting all dolled up for the day, whether it’s coffee, hot chocolate, or champagne (no judgments here). A practical gift doesn’t have to be boring. 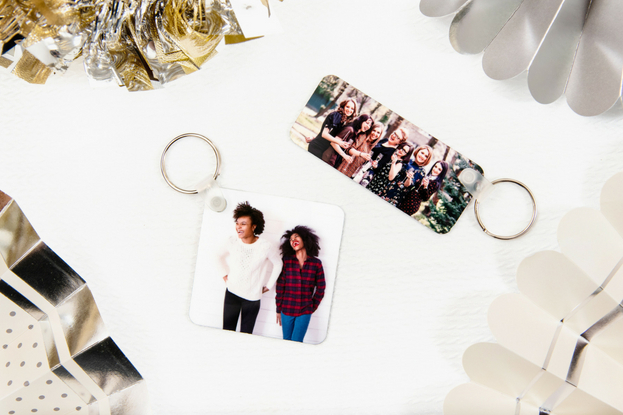 Take your friendship on-the-go with a custom keychain! You can see even more gifting ideas here! 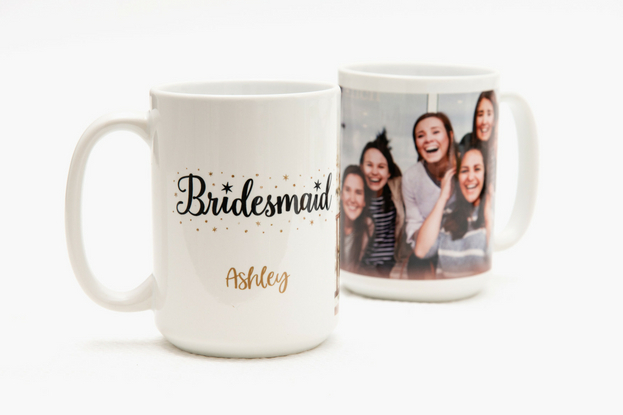 What gifts have you given your bridesmaids? Let me know in the comments. Thank you to I Dream In Flowers for their imagery in this post!